Uber Chopper is coming back to L.A. for a limited run this Labor Day Weekend. 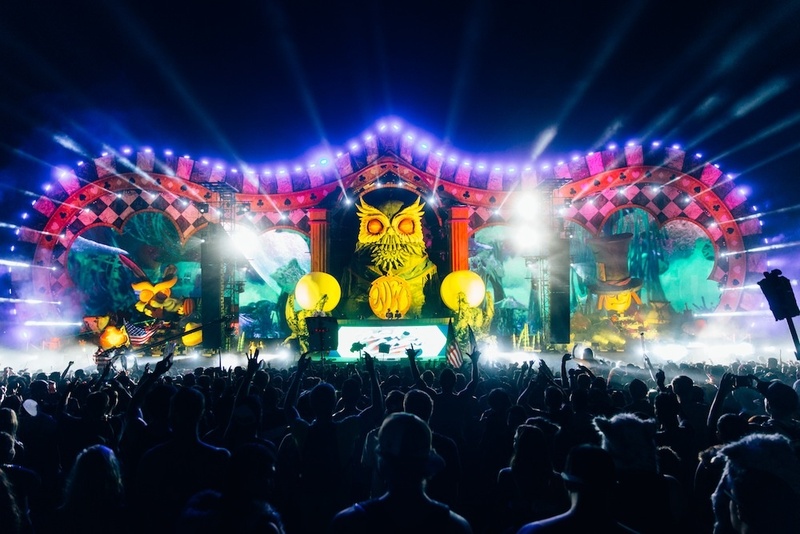 Uber will be providing a VIP experience for one lucky winner, including traffic-beating Helicopter transportation operated by Orbic Air to the Nocturnal Wonderland Festival hosted by Insomniac at the San Manuel Amphitheater in San Bernardino, Ca. Angelenos are all-too-familiar with the problems Labor Day traffic can present to anyone looking to escape the Southland for the long weekend. Las Vegas is a particularly popular destination as the NFL fans take advantage of the long weekend to start placing bets for the season. The Nocturnal Wonderland festival happens to be located along the same route L.A. drivers take to Vegas which contributed to the decision to operate Uber Chopper this weekend. Festival goers will have the option of meeting their Helicopter at the Orbic Hangar within Burbank Airport or taking the Uber car service from their home to the hangar. From there they will soar over the LA freeways in style during the 30 minute flight. Uber Chopper can handle up to 5 passengers in a single helicopter. Larger groups will be able to depart at the same time, spread across multiple helicopters. Costs vary depending on the number of passengers and type of helicopter being flown. In the past Uber users were able to arrange helicopter rides through the App as an add-on feature. The last time Uber Chopper operated in Los Angeles, the demand was overwhelming and all flights were booked within minutes of the launch. For this incarnation of Uber Chopper, one group will win a free helicopter ride and VIP experience at the festival. Those who do not win the Uber Chopper VIP experience can still book a one-way or round-trip private helicopter charter simply by calling 818-561-4838 or emailing fly@orbicair.com.